The Foundation for Polish Science (FPS) has announced the winner of the latest edition of the International Research Agendas (IRAP) programme. Professor Maciej Wojtkowski, the ERA Chair holder under the CREATE project was granted PLN 35 m. to establish the International Center for Translational Eye Research (ICTER). 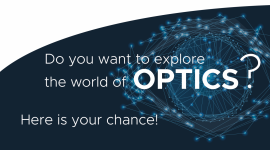 Do you want to explore the world of OPTICS ? 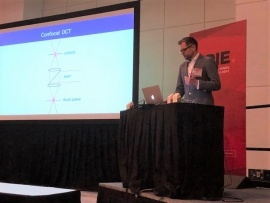 SPIE Photonics West, the leading global event for the photonics and laser industries took place in San Francisco early February 2019. Attendees enjoyed a week full of cutting-edge research (over 5,000 presentations) and courses, two world-class exhibitions (1,300 companies), a robust industry program, and plenty of networking opportunities. 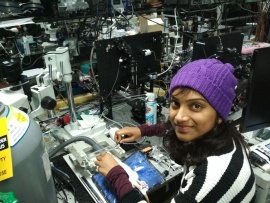 Mounika Rapolu participated in the lab visit to BIOMEDICAL PHOTONIC IMAGING LAB headed by Professor Wang-Yuhl (William) Oh at Korea Advanced Institute of Science and Technology. The Institute is involved in learning the techniques for in-vivo mouse brain surgery protocol to achieve high quality cranial window and imaging with contrast agent intralipid with 1300 nm optical coherence microscopy(OCM). 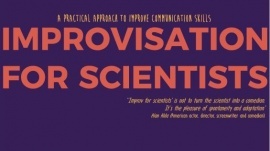 A soft-skills course 'Improvisation for scientists' is to be given this winter by Dr. Alejandra Consejo. Register and participate! 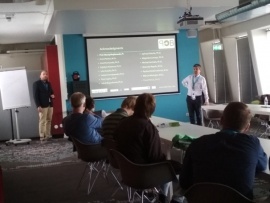 The EOS Biennial Meeting (EOSAM), a major European event for the European optics and photonics community, was held in the congress center of TUDelft in Delft Netherlands, October 8-12, 2018. Over 400 attendees took part in the event and over 350 interesting presentations were held on optics and photonics. Leading experts from optical field (e.g. Zeiss company) tutored short courses about practical information on optics design or optimal data processing. 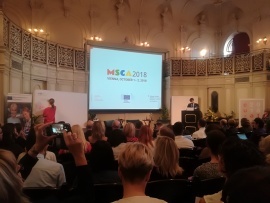 On the 1st and 2nd October, Agnieszka Tadrzak, Patrycja Nitoń, Monika Kuczyńska-Wydorska took part in the MSCA 2018 - Marie Sklodowska-Curie Actions Annual Conference organized in Vienna, under the Austrian EU Presidency. The aim of the conference was to discuss strategic objectives in the EU research and education policy areas. This two-day conference was divided into: lectures, panel discussions and workshops. The purpose of the trip was to participate in “Laser Technology Symposium 2018” conference. The conference was devoted to the latest results in laser physics and technology developments, as well as to lasers’ applications: in spectroscopy, medicine, military and scientific uses. 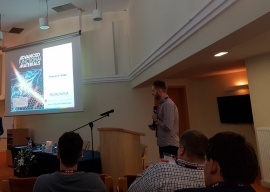 Jakub Bogusławski presented a talk entitled “Active mode-locking using graphene modulators”. 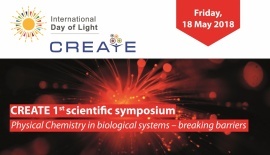 Join the CREATE 1st scientific symposium colocated with the 10th Anniversary Sympoisium of the Photonics Society of Poland combined with the International Day of Light 2018. 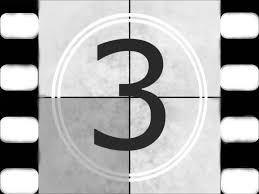 We would like to invite you to submit a bid in a competition for the production of a short film promoting the department led by the ERA Chair holder, Professor Maciej Wojtkowski. The film should show how the Department came about, the object of its activity, its achievements and its perspectives for development, including cooperation with other research units and business.